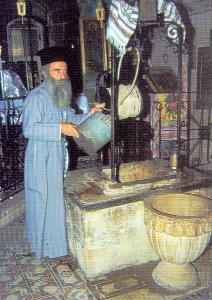 Read Edward’s recollections of Jacob’s Well. Read Edward’s recollections of Mt. 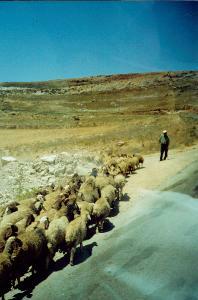 Gerazim. 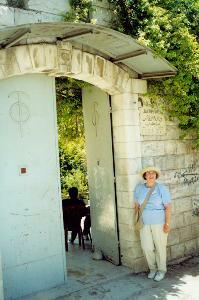 Our day begins with a stop in Bethany at the traditional site of Lazarus’ tomb. 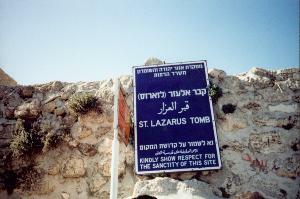 The sign marking the tomb. 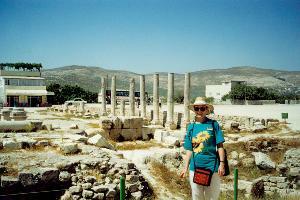 We drive north through Samaria stopping in SHECHEM at Jacob’s Well. We enter through the wall. 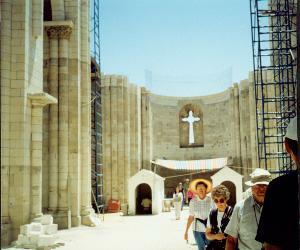 We pass through the courtyard to an enclosed stairwell at the opposite end where we descend 20 feet below ground. There in this vaulted room is Jacob’s Well. Driving on, we see the ruins of the Samaritan temple on MT. 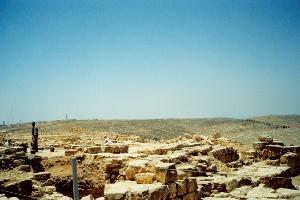 GERAZIM. 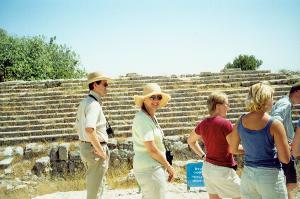 Driving on, we visit the nearby city of SAMARIA, the capital of Ahab and Jezebel. 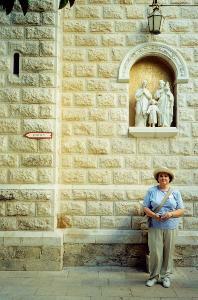 We reach NAZARETH. 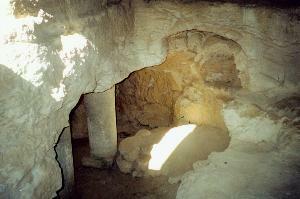 Here is an excavated home like Mary’s. 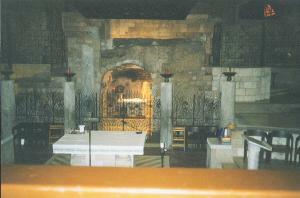 Basilica of the Annunciation. 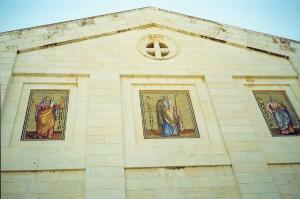 Within the Church of St. Joseph is an ancient house, the traditional site of Gabriel’s announcement to the Virgin Mary. 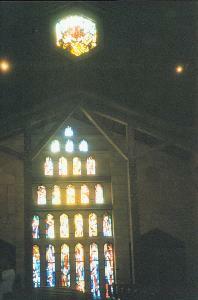 A stained glass window in the church.